Summer is the perfect time to get out of the house and appreciate the outdoors. When I was younger, my sisters and I would beg my mama to take us to feed the ducks at the civic center, literally anytime the sun was shining. We’d pack up our loaves of bread, a blanket and just spend the day at the park. The park is one of the best places to relax and spend time with your loved ones or to even have some peaceful time to yourself. 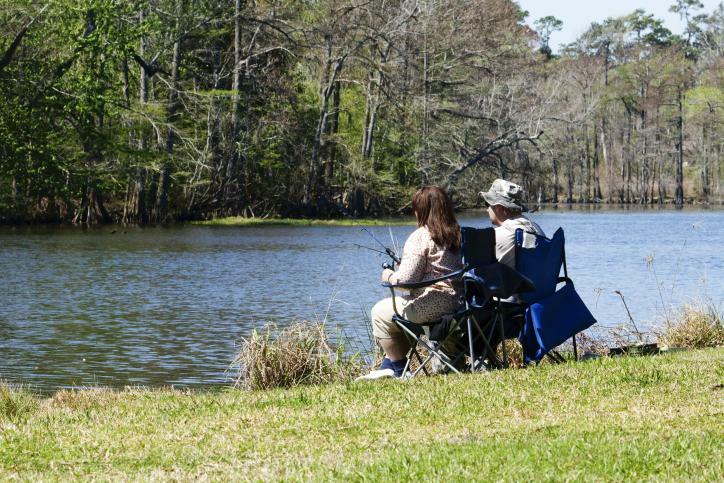 So, grab yourself a picnic blanket and let’s take a stroll through the best parks Lake Charles has to offer. Millennium Park- This park is basically one giant tree house equipped with swings, monkey bars, a spider web, rock climbing wall, tunnels, a Tot Lot, splash pad and plenty more. 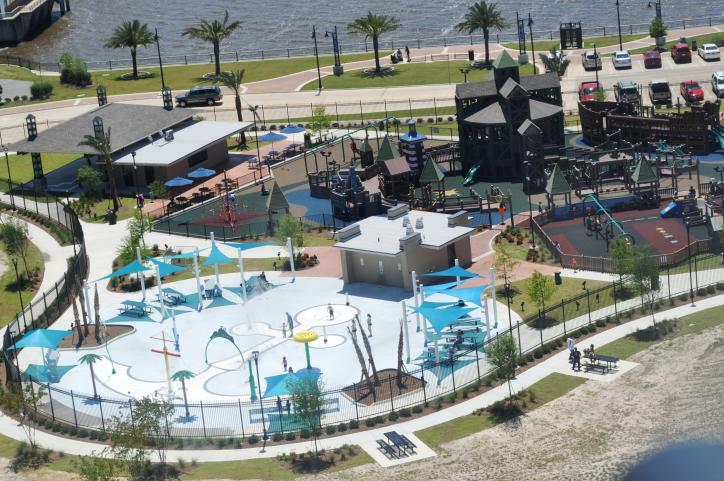 Prien Lake Park- Overlooking the Bay on the shore of Prien Lake, this park features walking trails, a playground and water park, canoe and boat launch, as well as numerous picnic areas, amphitheater and a little treat for the parents on the go, FREE Wi-Fi. Drew Park- Now, this is one of the more peaceful recreational parks. My favorite part of this park are the oak trees that follow along the walking trail. Pull out a book, relax along the trail or take a quiet stroll. Lock Park- This cute little park has a playground and a covered pavilion area, perfect for picnics. Sam Houston State Park- The go-to location for bird watching and camping, featuring 1,087 acres of lakes, trees, vistas, rivers and streams. Anytime I think “the great outdoors” this park comes to mind. Lakefront Promenade at Bord du Lac Park- This winding path caresses the lake front, providing a perfect place for exercise, while getting the best view in town. Ducks love it here, bring your bread! Veterans Memorial Park- This park displays the five branches of the Armed Forces, paying homage to the men and women who have served since WWI. Dog Park at Enos Derbonne Sports Complex- Dogs are part of the family too! Take your furry friend to the dog park for tons of fun. 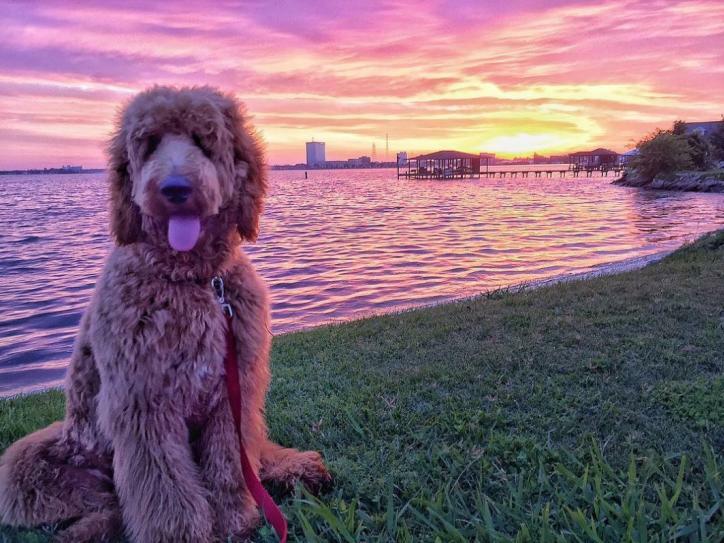 Bark du Lac Dog Park – Keeping to a four legged friendly theme – your pups will love Lake Charles’ newest park. University Park- A swimming pool and playground? What more could you ask for? Tuten Park- This little park is 20 acres of natural woods, fun for all ages. It’s the perfect place for the little ones to explore the outdoors. Make sure to take a peek at the butterfly garden. 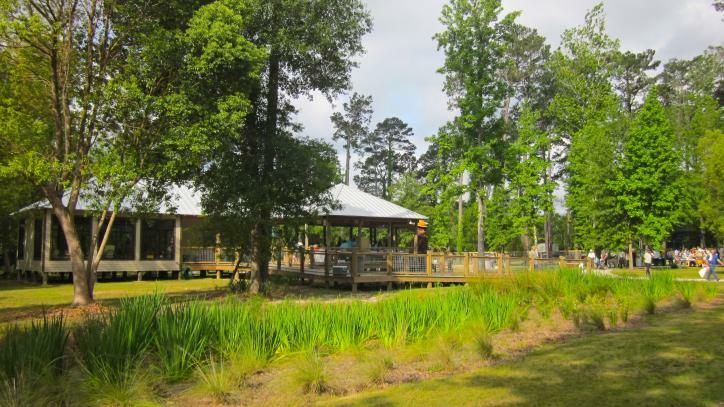 White Oak Park- One word to describe this park is “scenic.” It sits on the west fork of the Calcasieu River and features access to the best fresh water spring in Southwest Louisiana. Adventure Cove Park- Built entirely by volunteers, this park is barrier free and provides kids of all ages with the best space to play together. Riverside Park- Probably one of the best views of the historic Calcasieu River Bridge. Bring a fishing pole and float out on your boat for a little serenity. Starks Alligator Park- Just off of Hwy 109 is one of the most peaceful destinations you’ll ever find in SWLA. 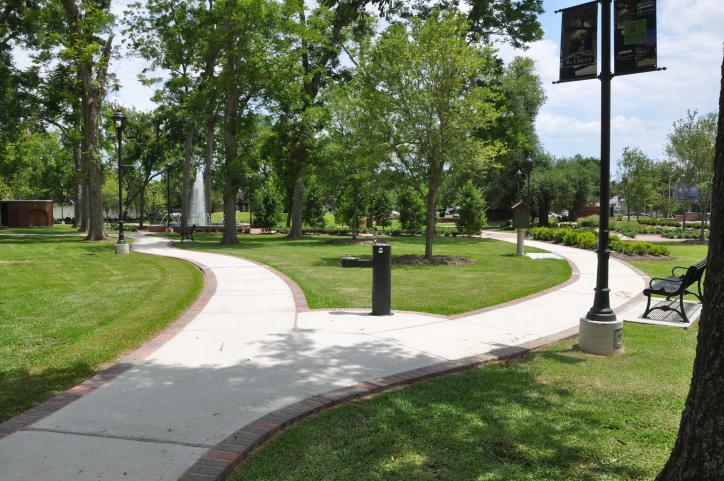 The Grove at Heritage Square – Located in Sulphur, this park offers a relaxing escape within a busy, urban environment. Surrounded by a pecan grove you’ll enjoy the walking paths and fountain feature. The Grove is also the home to Sulphur’s Movies Under the Stars and a the regional library’s Little Free Library – a community book share. Kayla was born and raised right here in Lake Charles, La. and is currently a senior at the University of Louisiana at Lafayette. She will be graduating in the spring with a degree in Public Relations and minors in Business administration and French. Kayla interned at the Lake Charles /SWLA Convention and Visitors Bureau over the summer of 2016. She enjoyed learning all about the hidden treasures that Southwest Louisiana has to offer.